The Cafe was held Friday evenings, every other month starting in September, 2016. Click here to subscribe and we'll send only notices of upcoming concerts. Find and friend us at TreeOfLifeCafeRockville. 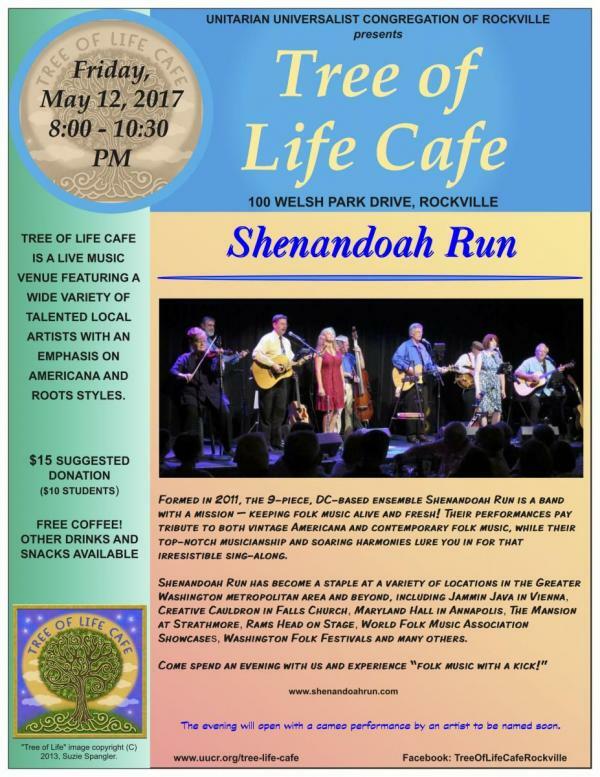 Interested in performing at the Tree of Life Cafe? If you have a local, professionl act based in Roots/Americana music and would like to be considered for billing, please email: treeoflifecafe@uucr.org. We need volunteers each month to help run the Cafe. Volunteers receive free admission and free coffee! Interested? Please email: treeoflifecafe@uucr.org.